The circle stud earrings measure 15mm in diameter. 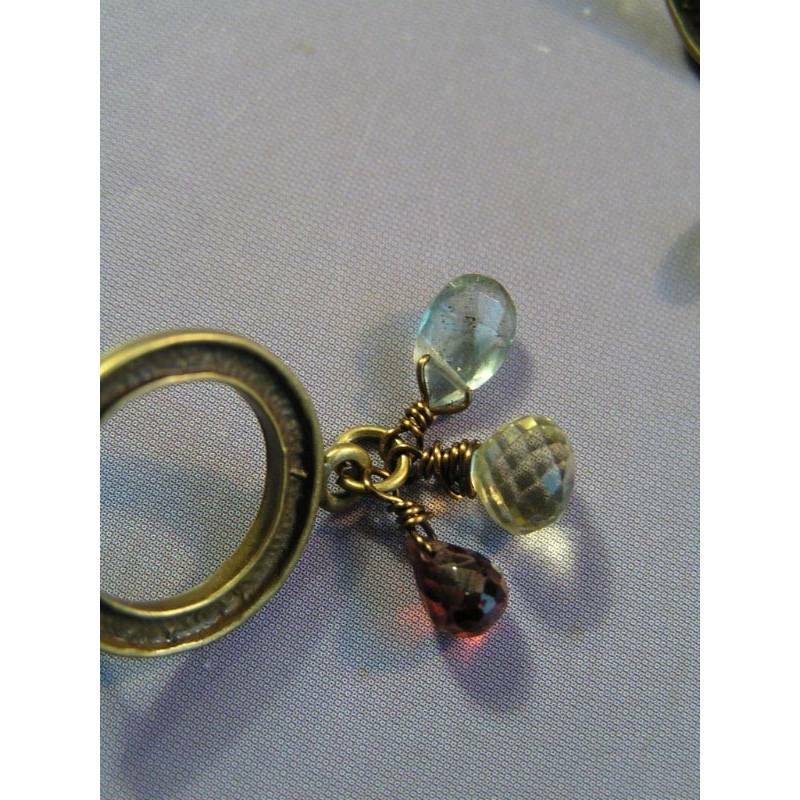 I have wire wrapped blue moss aquamarine, garnet and lemon quartz drops and attached those to both circle studs. 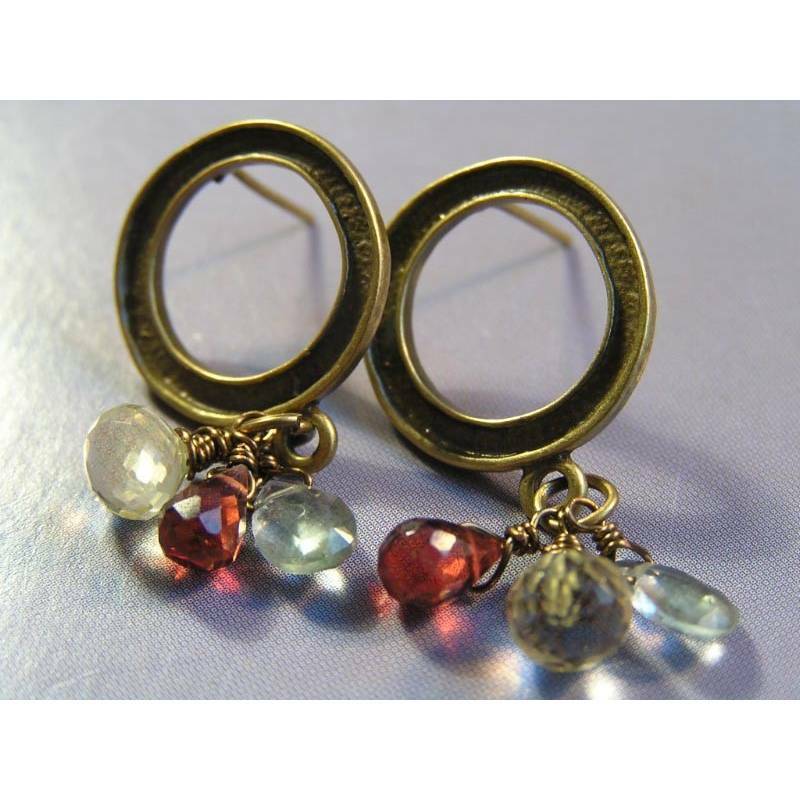 Total length of the earrings is 3cm (top of circle to bottom of gemstones). The earrings come with matching clasps.